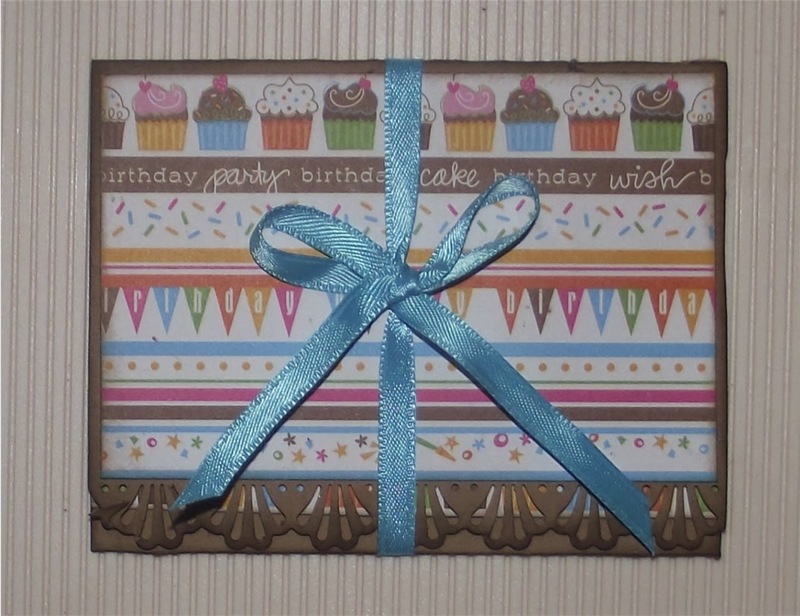 Precious Pages by Paula: WELCOME TO THE KRAZY CRAFTING CREW GIFT CARD HOLDER BLOG HOP! WELCOME TO THE KRAZY CRAFTING CREW GIFT CARD HOLDER BLOG HOP! and for many families that begins with the Thanksgiving holiday if you're trying to fit in all the families on both sides and extended ones.. so we've put together a great hop today with plenty of ideas to make those gift cards look like a million bucks! I personally love gift cards... no hassle in returns, wrong sizes, etc. and with the ability to buy cards for even Visa and/or MasterCard, how could your gift even be considered to be re-gifted! They will surely find something they want or need..
For hopping today, we have a gift for some lucky person. A 17.95 value Close To My Heart Merry and Bright Holiday Stamp set. You'll have a great little set to make your Holiday cards, gift tags, or other décor. A winner will be chosen by Nov. 6th so I can get this in the mail and off to the winner in plenty of time!. Comment on each blog and show our creative team some love please! If you're not a follower, you might want to be... this group does a hop every first Sunday so you won't want to miss what's in store! Be sure to leave a way to contact you as well! Today turned out to be the perfect day as Michael decided to buy his sister a gift card for her birthday and needed a holder. I have never created a gift card holder before. I just bought a great die to do one but as I haven't tried it out I figured the learning curve might take longer. (Boy was I wrong!) I found some tutorials on YouTube and worked from some of those instructions. 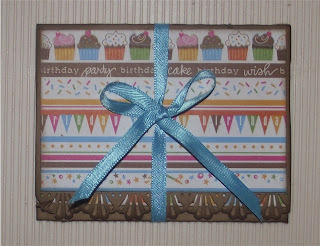 First I cut my Kraft cardstock and used my favorite border punch on the edge. Then, as I nearly always do - I edged everything with Walnut Stain Distress Ink. Next I cut some birthday paper to fit both of the outsides. I didn't care for the belly band idea with the pattern I was using so instead I added a few glue dots on the back and put a coordinating ribbon. I added a bit more of my patterned paper and a sentiment inside. And finally I am finished! I've posted the line-up in case you get lost... Happy Holidays! Thanks for hopping with us today! Beautiful card holder, you did a great job. Thanks for sharing. Very nice Paula, you pulled it off! Great job! Nicely done. love the cupcakes paper. Nicely done! It is amazing what dies can do!! I didn't try the die - this was from a You Tube video. I figured the die would have a learning curve as it used the extended cutting pads and a crease pad neither of which I have ever used. This little thing took me so darn long I could have figured out the die! LOL! But, his sister loved it so that helped! Great job!!!! Love your gift card holder!!!!! Love the gift card holder! don't you love dies and youtube that makes crafting easier and rewarding for us? Thanks for joining me today and happy holidays!! oh how cute, great die! love the paper you used and that fancy edge tops it off! Beautiful Paula, nice tought with the ribbon. I LOVE your gift card design and I bet she will too. TFS. The paper you chose was PERFECT. Really pretty card, your recipient should LOVE it. Love this. Great idea for a gift card holder. Your gift card is awesome! Love it!! I like the cupcake paper you used. What a cute way to do this gift card holder! I'm always scrambling to have one for a birthday gift! This is super cute!!!! I always forget to make birthday cards (or make them way too early and lose them) so this would be perfect instead!!! Your gift card is adorable! Love it! Your gift card holder is so simple and yet so cute. Thanks so much for sharing. 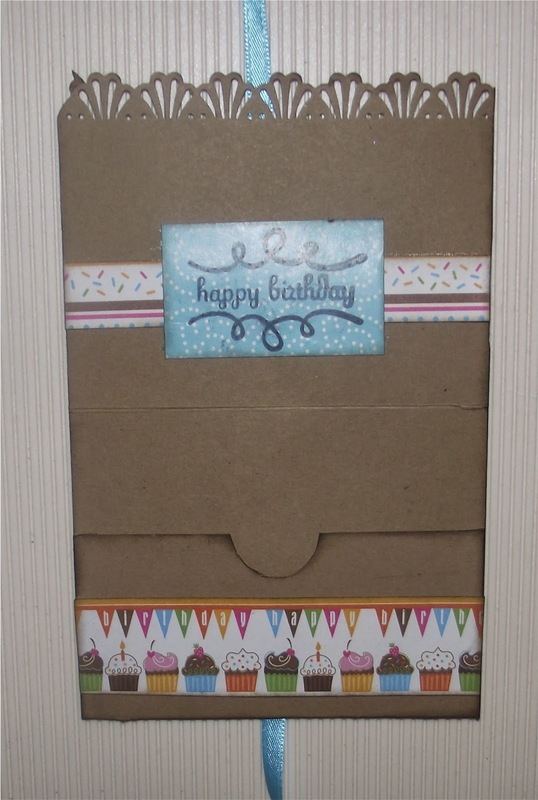 Cute - love the patterned paper. Very cute--I like your choice of paper and the ribbon. Lovely thanks for sharing looks so easy.